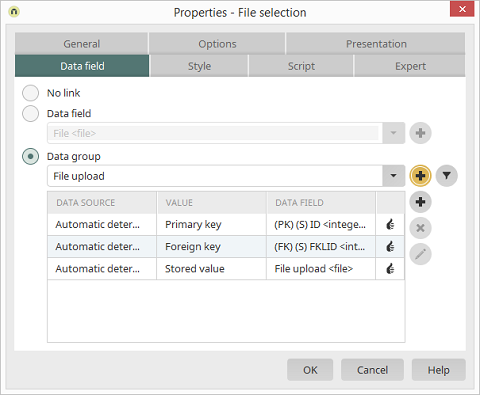 With this option, the file selection is not connected to a data field. The selected values are not saved. An existing file data field can be selected here. Opens a dialog where a new file data field can be created. Click here for more information about these settings.